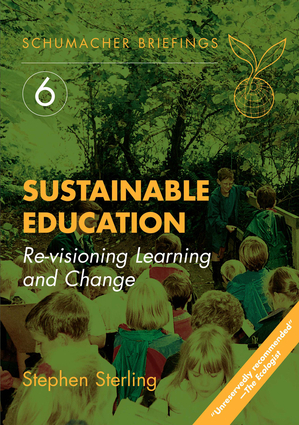 While environmental education, and more recently education for sustainable development are important trends, they are not sufficient to reorient and transform education as a whole and yet time is short to realise such change. The Briefing critiques the prevailing managerial and mechanistic paradigm in education, and argues that an ecological view of educational theory, practice and policy is necessary to assist the sustainability transition. The Briefing then shows how sustainable education is a systemic change of educational culture towards the realization of human potential and the interdependence of social, economic and ecological wellbeing. Stephen Sterling is an independent consultant working in the academic and NGO fields in the UK and internationally. He was involved in developing the MSc in Environmental and Development Education at South Bank University, London.